What I remember most from Callanish circles are the moments of connection, when words, music or the simple presence of another led me down a path to some unanticipated new understanding or changed perspective. I remember Rose who came regularly to Callanish, yet seldom spoke in the circle. When she did, it was brief and poignant. Her presence brought memories of my mother, with her petite frame, quiet strength, brevity with words, and grace amid disappointment and sadness. My silent connection with Rose was a gift of sweet remembrance. I remember the many times the music at Callanish led to tears slowly dripping down my face. Sometimes, it was the melody. Sometimes, it was the words. Sometimes, I had no idea what chord had been struck in my heart. I have learned to simply let the tears come. I remember James with his incredible zest for words and concepts. 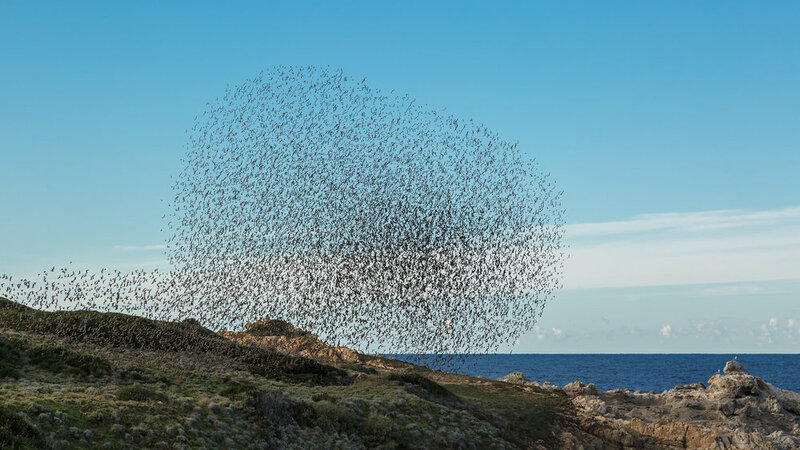 He introduced me to the word “murmuration,” which describes a synchronous movement of a flock of birds in the air, with each bird influencing its closest neighbours. Sometimes I wonder whether these moments of connection are themselves like murmurations. I am grateful for the comfort and the thoughtfulness that moments of connection inspire in me. They keep bringing me back to the Callanish community, and I have promised myself to entertain them all. Joanne Reimer has been a program assistant at Callanish since 2012. She brings many years experience working in the healthcare system as a hospice consultant and researcher. This blog is for our friends—new and old, near and far. It explores the conditions for healing that we hold deeply at Callanish: engaging in heartfelt conversations, enjoying delicious and healthy food, making art, moving the body, being in nature, listening to music, reading poetry and more. We hope to inspire you. Would you like to be notified of new blog posts? Note: This email may be hiding in your “promotions” or “junk” inbox.